Address: 109 E. Avalon Dr. 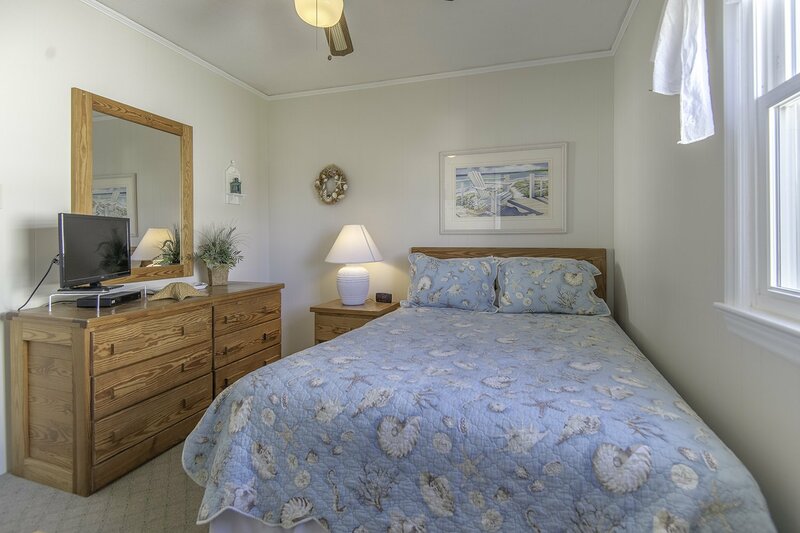 This comfortable & lovingly cared for family Beach Cottage is nicely decorated, very well equipped & is a great choice for your Outer Banks vacation. Located only 1-1/2 blocks (approx. 230 yards) from the Ocean w/Direct Beach Access, this home is very convenient to area shopping, restaurants & the Avalon Fishing Pier. Featuring two separate living areas, Sun Deck & Covered Deck, there is plenty of space to spread out & relax. Ground Level: Parking, Separate Outside Entrance to Living/Dining/Kitchen Area, TV, DVD, Bedroom w/Queen, 1 Full Bath, & Window A/C, Enclosed Outside Shower, & Park Grill. Main Level: Living/Dining/Kitchen Area, HDTV (Digital Cable w/6 HBO & 7 Cinemax Channels), DVD, 3 Bedrooms (3 w/Queens & TV's), 2 Full Baths, Covered Deck w/Porch Swing, & Sun Deck w/Picnic Table. Features include: C/AC & Heat, Washer/Dryer, Dishwasher, Microwave, Phone, 6 TVs, 2 DVD, Stereo, Wireless Internet, Ceiling Fans, & Deck Furniture. No Pets. This is a Non-Smoking Unit. You will enjoy the cottage and easy access to a guarded beach! Very good cottage for a small family. Good supply of kitchenware; loved the porch swing and the close distance to the guarded beach! Two minutes from the beach. Fully equipped. Comfortable beds. Perfect cleanliness. Large terrace. This house is the best place to spend an amazing holiday.